Update, Oct. 17: the votetogether.ca team has endorsed Tassi, the Liberal candidate in Hamilton West-Ancaster-Dundas, as the best positioned to defeat the Conservatives. 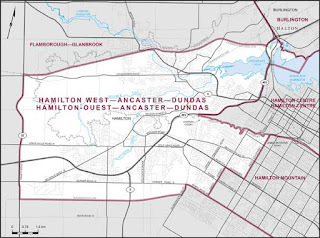 Hamilton West-Ancaster-Dundas (HWAD) is a new riding made up of the urban and suburban parts of what used to be Ancaster-Dundas-Flamorough-Westdale. Its formation resulted in the rural polls of Flamborough being joined with Glanborough to form a new largely rural riding. 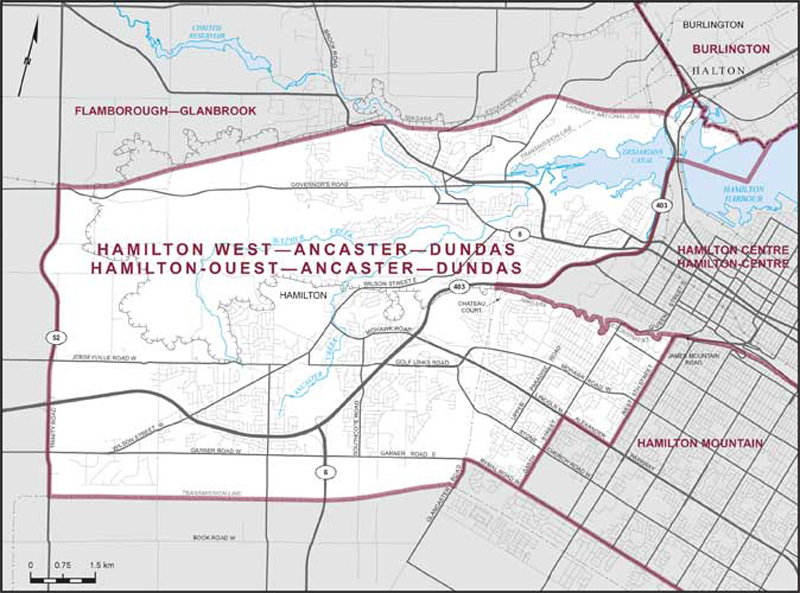 HWAD should now be a three-way race, with Conservative voters from upscale Ancaster and Dundas, NDP voters from Hamilton, and Liberals from both. And it should be an active riding for all parties, because the McMaster student base should become active in all three parties. 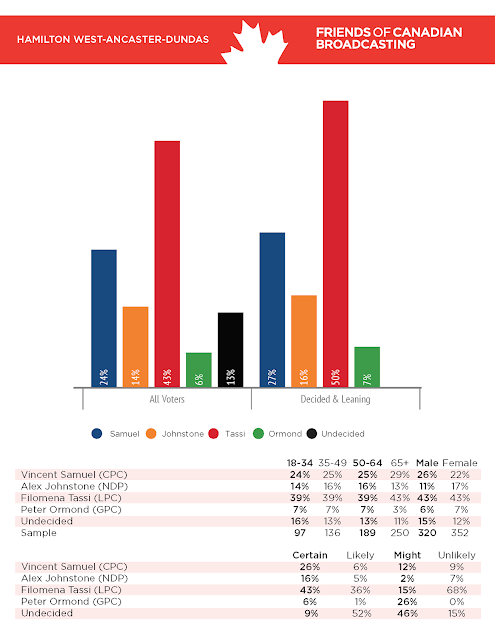 If the 2011 are redistributed into the new riding (see here), the result would have been CPC 40%, NDP 28%, Liberal 25%. But in this election, most polls are showing the Liberals have strengthened in Ontario at the expense of both other parties. 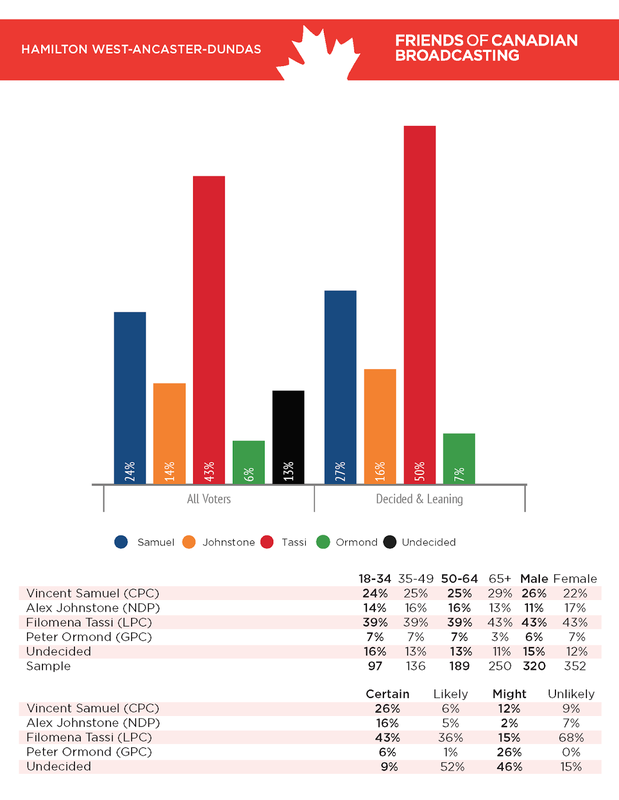 Threehundredeight.com projects a Liberal victory here, with the lower bounds of their expected tally above the upper limit of the Conservative.